[Ruger] Ruger LCP II: The Best Pocket Pistol? 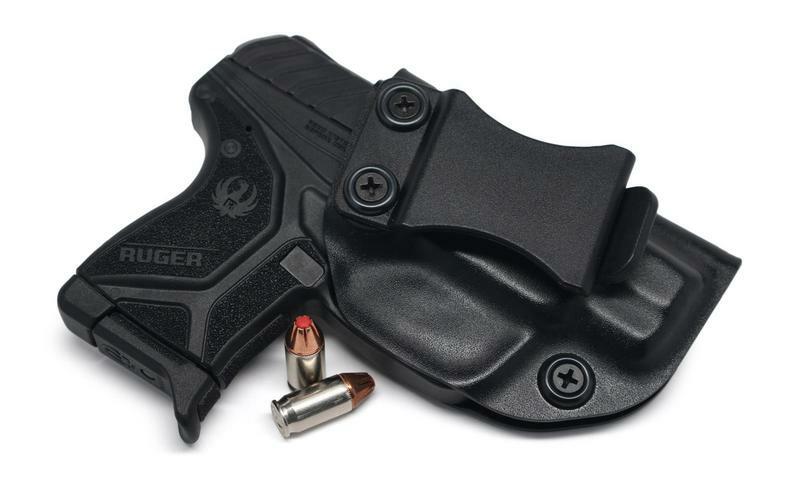 In 2008, Ruger released one of their most popular handguns in the sub-compact, .380-chambered LCP, short for “Lightweight Compact Pistol” (an accurate, if uninspired name). The original, first-gen Ruger LCP debuted at the 2008 SHOT Show and very quickly became one of Ruger’s most popular pistols. As confidence in the .380 round increased and Ruger’s little pop-gun sold like hotcakes, they actually updated the original in 2013 with a slightly shorter trigger-pull and some better sights, while also releasing a seven round extended mag that mag that made it a little easier to get a grip on the gun. 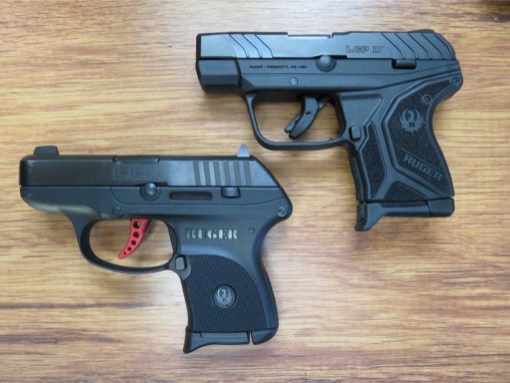 These changes dramatically improved the shootability of the gun and helped Ruger move even more of these pint-sized pocket guns. 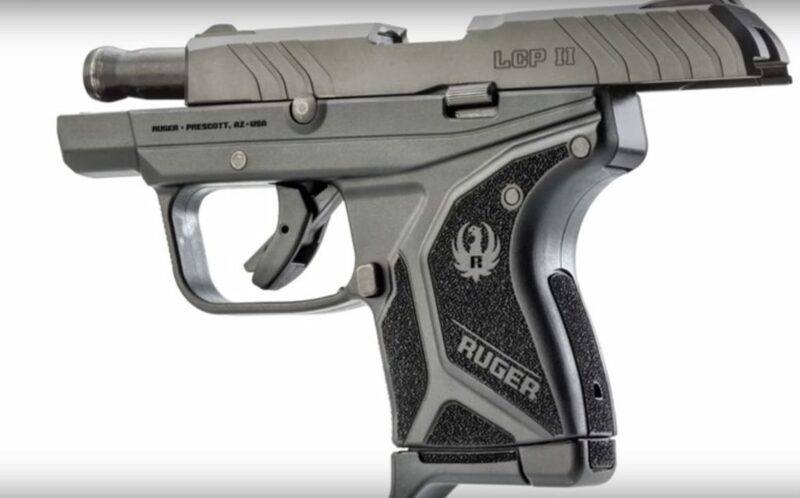 Now, Ruger releases the updated LCP II, an upgraded and improved version of the gun that defined the pocket pistol. The question is, are those changes worth upgrading for? I carried it for about six months last year (basically what we call “summer” here in Georgia) to find out. So, all my fellow Southerners should understand my desire for a small, lightweight carry gun that can easily be hidden away under a t-shirt. I don’t lose sleep over the occasional printing issue with my Glock 19, rare as those instances are. However, I don’t love advertising the fact that I’m carrying a gun. I very much follow the same philosophy my buddy Travis outlines in his gray man article. 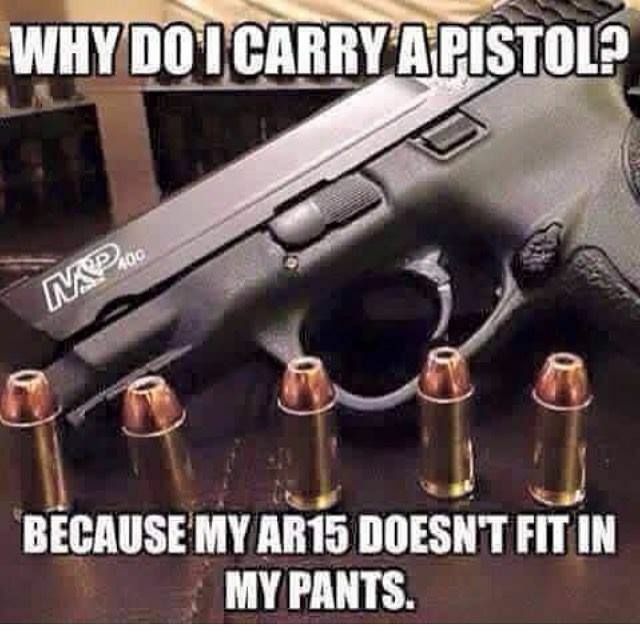 The only people that should know I’m carrying are me, and my family. Despite this, I’ve carried some big guns like a Beretta 92fs, full-size 1911’s, and other things in that range. That being said, I’ve also left those guns in my glovebox, or even at home entirely, and gone out without a gun at all because it’s hot and I’m wearing light clothing, or because I just don’t feel like carrying a heavy gun around. These guns definitely carry better than an AR-15. The Ruger LC9, S&W Bodyguard, Glock 42/43, and of course the Ruger LCP and LCP II are all fantastic options for a gun that’s svelte enough to just slip into a pocket or tuck into a waistband and forget about until you need it. There are of course other options from Kahr, Colt, Remington, Beretta…everybody makes a pocket pistol basically, but these are some of the most popular. I personally own a 43, LC9s, and of course the LCP II. I’m really fond of the ability to just slip a holstered gun into a pocket and not worry about it printing or dragging my pants down. I own probably way too many other options for carry, but I very often find myself coming back to my smaller choices. For this gun, I actually carried it in the factory pocket holster for a while before I got this IWB holster from Concealment Express ($34.95). As far as stopping power, it’s important to remember that a .380 has about 70% of the same power as a .38 Special round fired from the same length barrel. Modern 9mm rounds are as powerful now as .45 ACP ammo from the 80’s. Yes, there’s always something to be said for firing a bullet with more meat to it. And yes…we’ve also covered .380 vs 9mm. However, a larger caliber generally means a larger gun, which is harder to conceal, but easier to shoot. So, what about the LCP II? Well, like the original it’s a locked-breech, single-stack, hammer-fired .380. Somewhat surprisingly, the updated version is actually 1/8th of an inch wider than its predecessor, but make no mistake. This is still a small gun. 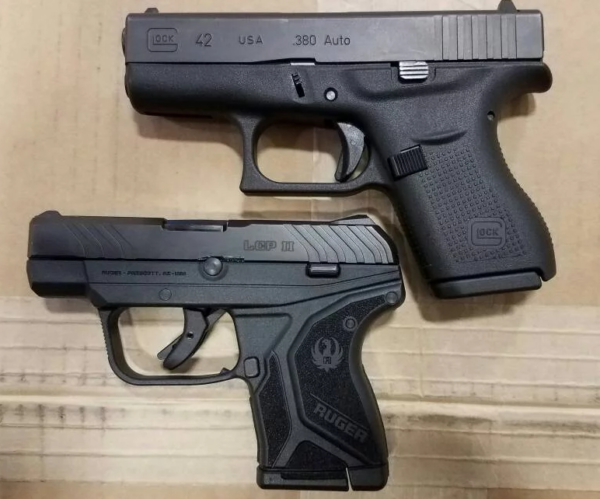 The LCP is still smaller than its stiffest competitor, the Glock 43 as you can see below. Check out this really helpful size comparison from the M4carbine.net forums. The new model comes equipped with a much better than the aggressively mediocre bang switch in the original LCP, and it also has a more heavily textured grip that helps control the snappy yet still fairly tame recoil. This is one area where the .380 shines over a similarly sized 9mm. Even the best shooters can struggle to quickly shoot a hot 9mm round out of such a small gun. The .380 chambering makes follow-up shots and rapid fire a much easier prospect with this gun. Unlike a lot of other pocket pistols, the LCP II is really a joy to practice with. It shoots well, the new sights are a massive improvement over the original’s, and the extra width really makes the gun easier to grip if you have a fairly large palm like I do. So, all that being said? How does it shoot? All in all: pretty well. Now, I’m no Jerry Miculek. I’m not out here shooting this thing upside down and clanking steel at 100 yards. For my purposes, this is a 7-10 yard gun. Most self-defense engagements are going to be at close range, and over quickly. This is not a gun you carry into battle (not as a primary weapon anyway). I’m also not John Wick (though I did get to interview the guy who trained him). I’m not going to be testing this gun the way I would a competition gun, running it through a practice stage. So, using this bad boy at its preferred distance, how does it do? Honestly, much better than I expected. I was able to get groups averaging around one inch at 7 yards, and good center mass groups all the way out to 20 yards, which is honestly waaaaay farther than I’d want to stretch a .380 in this form factor in real life. The gun is mechanically very accurate. Maybe it’s the uptick in my shooting over the past few years that’s just made me better, but I think this might actually be the best-shooting .380 I’ve ever had my hands on. Realistically, at the ranges you’re likely to need it at, this gun is probably more accurate than it needs to be. It’s just going to come down to the shooter. The sight radius is of course very short given its size, but Ruger has wisely designed their sights to be very usable with a relatively narrow front post and wide rear notch that allows plenty of light in on either side of that front sight. I’d like to see at least a different colored front, or maybe a three dot setup rather than the all black sights, but that’s easily remedied with some aftermarket options or even just some paint on that front post. Black on black sights on a defensive pistol are baaaaad. Target sights these are not. I’m very glad to see that Ruger has put more combat-oriented sights on this, but I’d really like to see a differentially colored front post that would make finding that front sight a little easier when drawing and shooting quickly. The gun, in my hand at least, points surprisingly well with a grip angle that reminds me a lot of the Smith and Wesson M&P series. I’d be more than comfortable point shooting it, especially if it had a nice bright front post (this is my main hangup with a stock LCP, honestly). I’d recommend holding one before you buy though, as the way a gun like this fits your hand is going to be one of the most important considerations. A long reliability section in a review of a defensive firearm is a bad sign. Ideally, there shouldn’t be much to say, which is the case here. A defensive firearm like this absolutely has to go bang everytime you squeeze the trigger with a round chambered. That should be your main concern. Fortunately, most modern firearms with a defensive focus are going to go bang on the first shot, which is often the most important shot. If you only have one shot, it needs to go bang. The real deciding factor is going to be the geometry of the feed ramps, the design of the extractor, and the other things that contribute to the way the firearm feeds that second round, third round and so on. So, judging it by that criteria, how does it do? I fed this little thing everything from bargain basement steel-cased ammo to high-end defensive ammo and I didn’t have a single failure to feed, or failure to extract. I didn’t have any light strikes or other more serious failure to fire issues either. Altogether, I’d say this gun, if adequately maintained, will go bang when you need it to. You can’t judge the ergonomics a pocket pistol like this against something like a competition G34 or 2011 that’s been tuned to be as shootable as possible. The goal here is a firearm that is concealable first. Everything about this firearm is intended to make it easier to tuck away somewhere on your person, so in that respect it does really well. The other way we can judge it is how well it stacks up to other pocket pistols in this category. That being said, I think the LCP II is a really good example of just how shootable a pocket pistol can be. I like the aggressive skateboard-tape-type grip texture. I like the new cocking serrations that help your grip the thing slide better in a high-stress situation. I like the changes to the sight from the channel of the first version to a more traditional notch and post (even if the all black kills me). I’m glad that the serrations are there too for those older shooters, or shooters with less grip strength in general that might struggle to grip and rack the slide on such a small gun. I think too often we get guns that are designed to be run the way a competitor, MIL/LEO, or other trained shooter with a few thousand rounds behind similar guns would run them, so seeing a gun designed to be as easy to use as it can be is nice. The grip itself is a two finger grip, three with the extended mag that lets you get a pinky in on the action as well and for me, being a relatively big dude, I can suuuuuper easily conceal the gun with the extended mag, so I’d definitely say it’s worth it. Being able to get a full grip on a gun like this is huge as far as shootability goes. Judging it against other weapons of this size, it’s actually very good. Extremely comfortable to hold. However, it’s still a pocket gun and as such its way less comfortable than a full-size or even compact weapon like a Glock 19. The gun is mechanically about as accurate as a gun this size can be, but I would like to see a higher contrast front sight. I didn’t experience a single issue in several hundred rounds, or in an actual life-threatening scenario. I have no complaints, and haven’t heard of anyone else having any issues either. This is one of the gun’s weaker areas, but as time goes on we are seeing more and more trigger options and holster choices. I’m also impressed with the number of aftermarket sight options. It’s pretty smooth, I like the lines, but…something about the grip bugs me. More of…something, would be good. Really, some smoother styling would be good. I’ve seen them on sale for under $300. All in all, I really like this gun. I carried it off and on for a while, I’ve shot it a ton, and I even used it to dispatch a particularly aggressive copperhead while walking my dog around the pond at the old family homestead. I’m absolutely confident in this guns ability to put rounds where they need to go in a defensive situation. It also just disappears into a pocket, or in a waistband, and is a good candidate for alternate carry options like garter holsters and the like (just not the Lethal Lace) holster (Best Concealed Carry Holsters). I really think Ruger has hit it out of the park with this one, and the insane number of units they’ve moved seems to back that up. 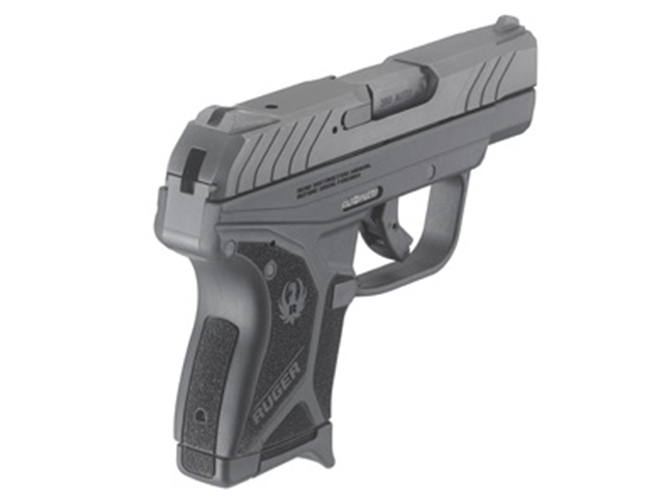 What do you think of the Ruger LCP and pocket pistols in general? Or looking for other .380’s? Check out our Top 5 Pocket Pistols article. I own 2 lcp 2 380 pistols with 400 rounds through both to test for reliability and they eat everything with no failures.i can raphid fire at 25 yards and have all 7 rounds on a fist size group on an 8″ plate and ring a 10″ gong at 100 yards so very accurate with a nice trigger.i used nail polish and painted my sights white. I carry my Ruger LCP II w/intigrated Viridian laser everywhere legal, all the time. One important note: it does NOT cycle flat nosed rounds well, at all, and I will never load anything but a round with a parabolic tip in it. My JHP rounds have a parabolic tip and also are polymer filled. No flat tip rounds in the LCP II, EVER! I bought the LCP II never having fired a gun in 40 YEARS for personal protection. I had feeding problems till I figured out it needs a bit of oil around the feed ramp. This gal eats any thing as much as you feed it. 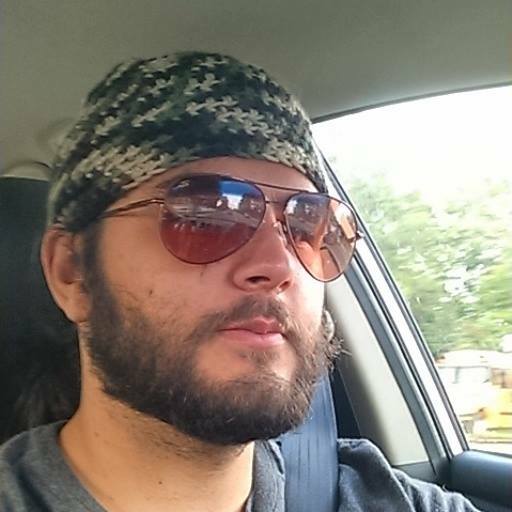 I got 6 mags of 6 and did 300 rds in one sitting.no sweat. Properly cleaned and oiled I think she would do 1000 without a problem except your hand.